Wedding Dress. . Wallpaper and background images in the Elsa the Snow queen club tagged: photo snow queen frozen princess disney elsa. 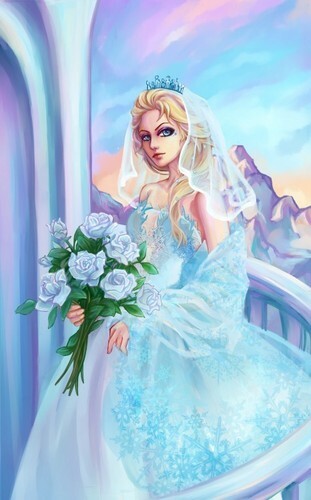 This Elsa the Snow queen fan art might contain ramo, ramillete, ramillete de flores, and ramo de flores. How? What Power Do tu Have to Stop Me?